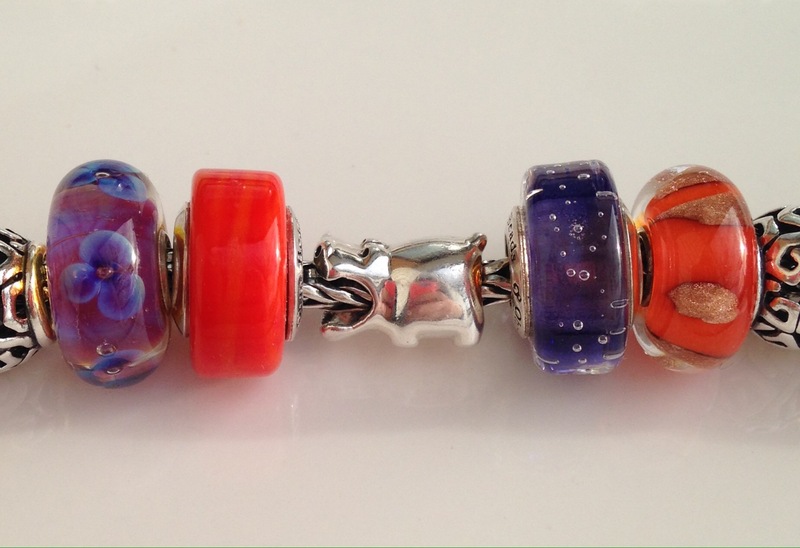 I love my little Ohm Beads hippo. 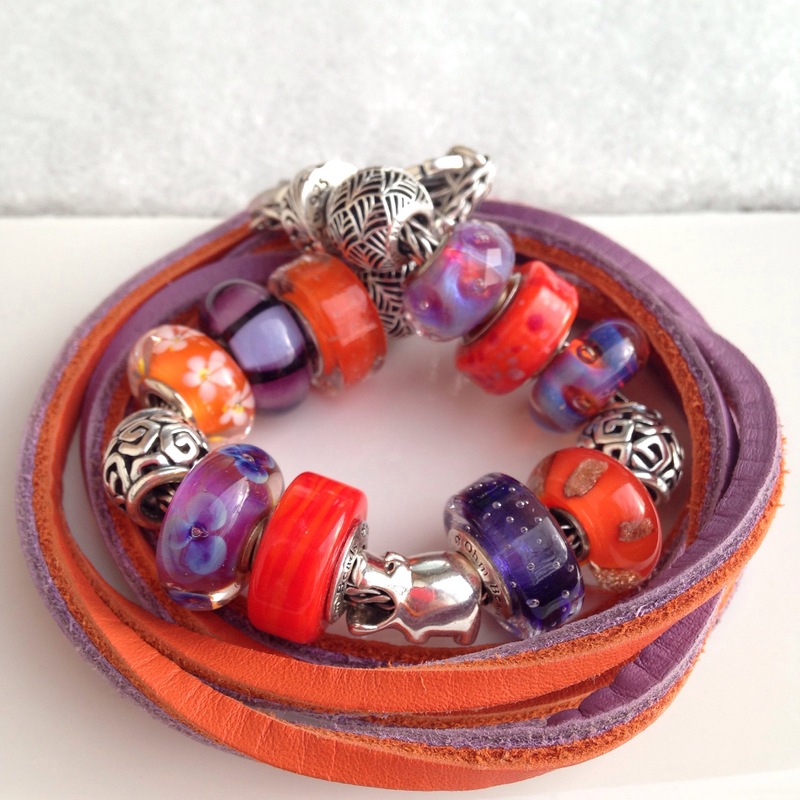 So much so, that I wanted to make it a centerpiece of a purple and orange bracelet. I like how it looks like he’s always trying to eat something. 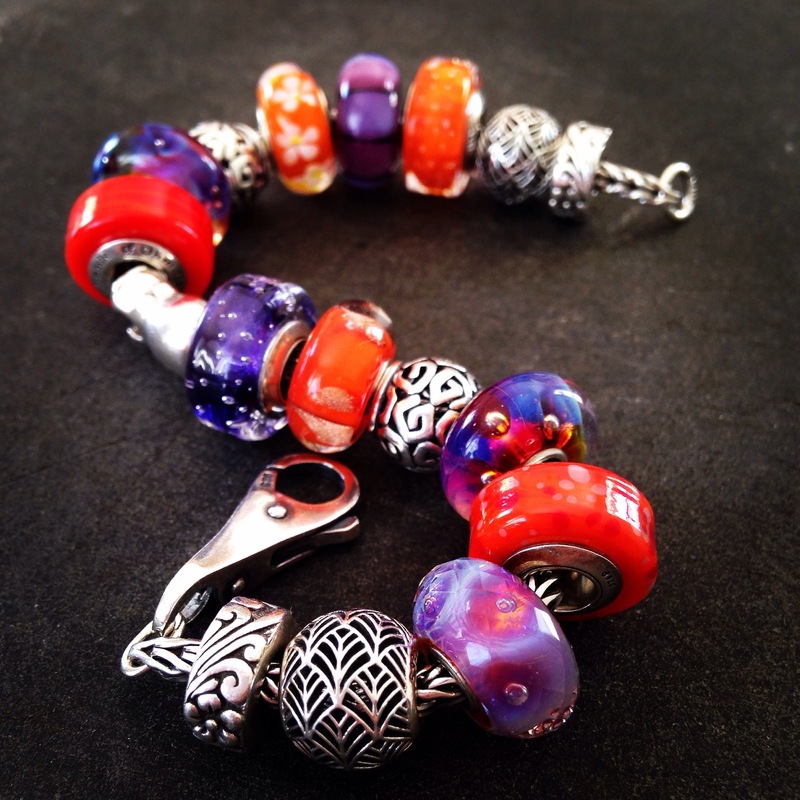 The silver beads here are Pandora, as is the orange Murano with the daisies. 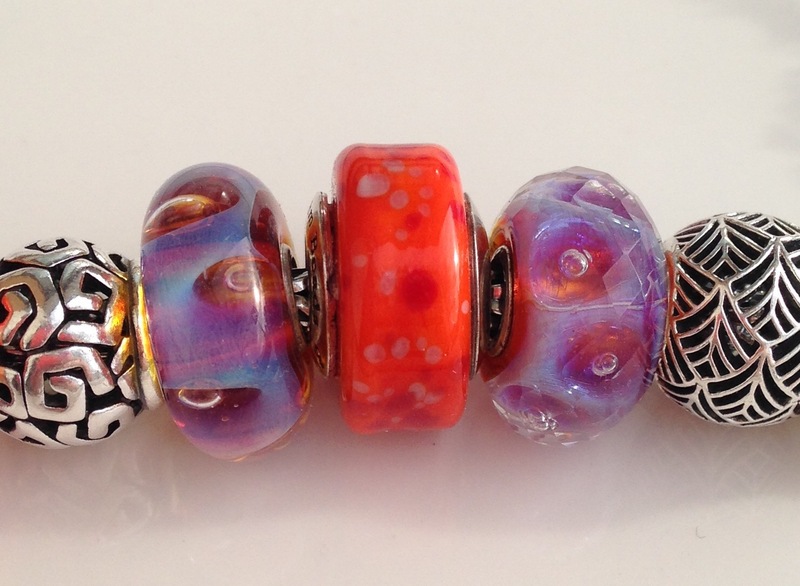 In the middle below, is one of my favourite Ohm Beads called In the Koi Pond. 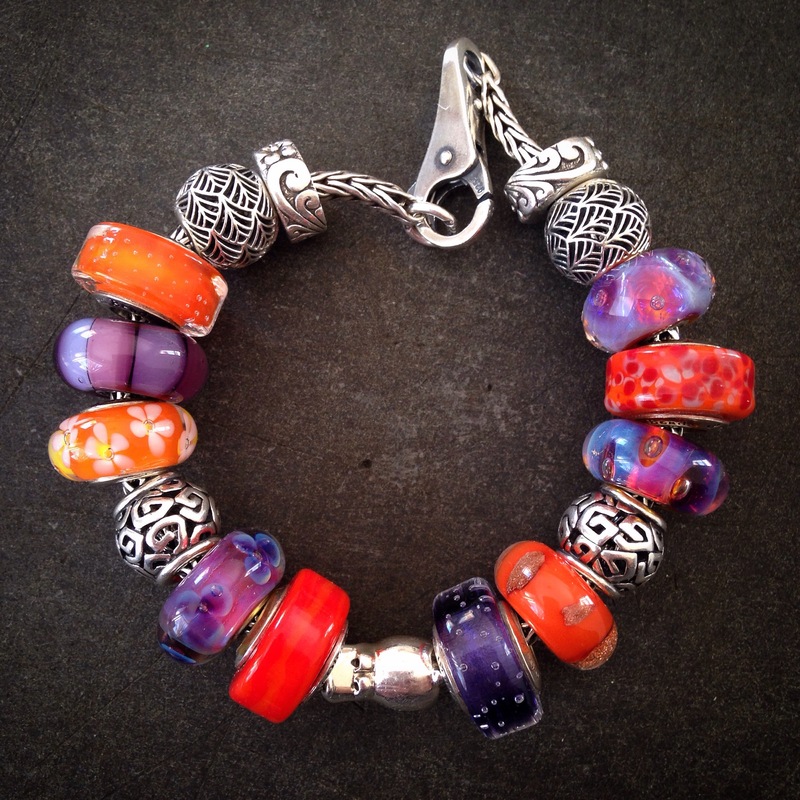 Once, I lost it and found it half a year later in our minivan! Here are a couple of photos using the Low-Fi filter from Instagram. Finally, here’s a photo that I was able to take outside after it had finally stopped snowing. 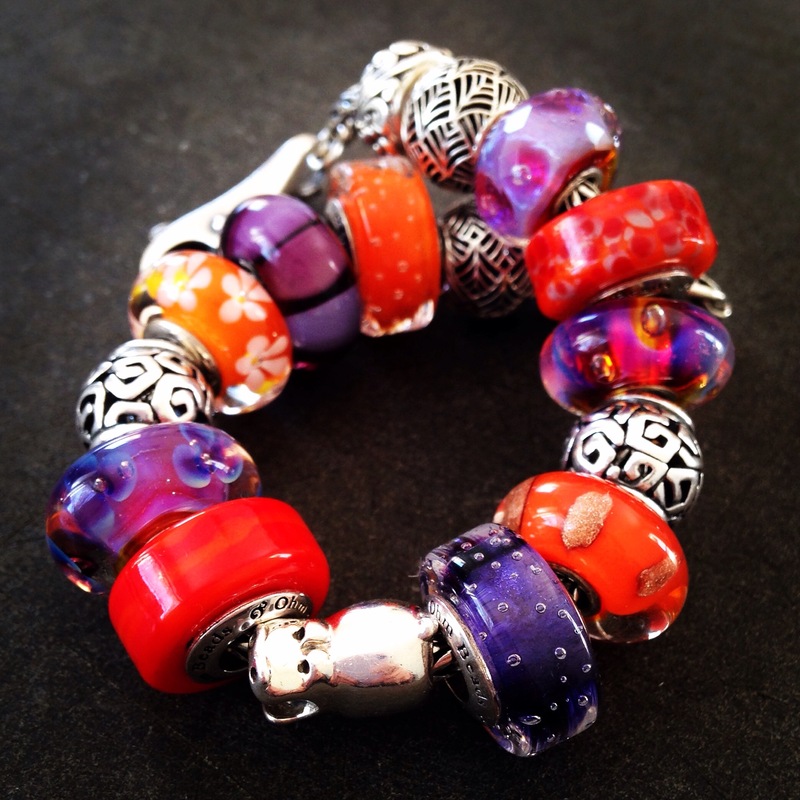 I’m wearing it today with the Trollbeads leather bracelet. 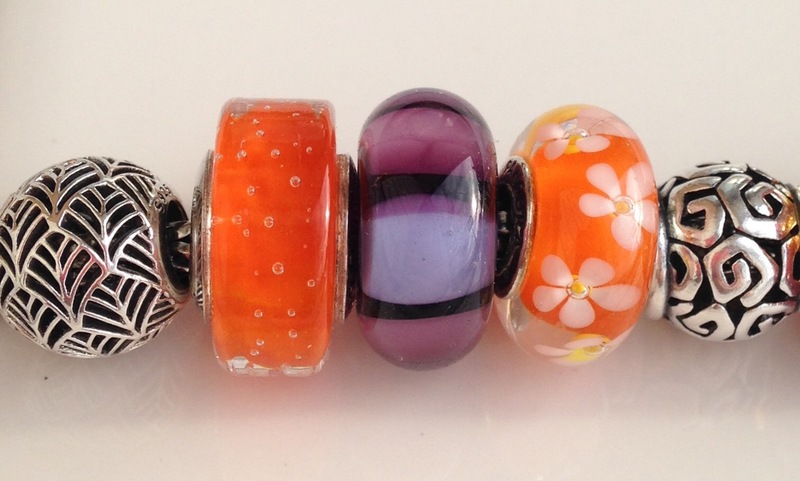 Sometimes I like to wear them without any beads. Do you ever wear them that way?